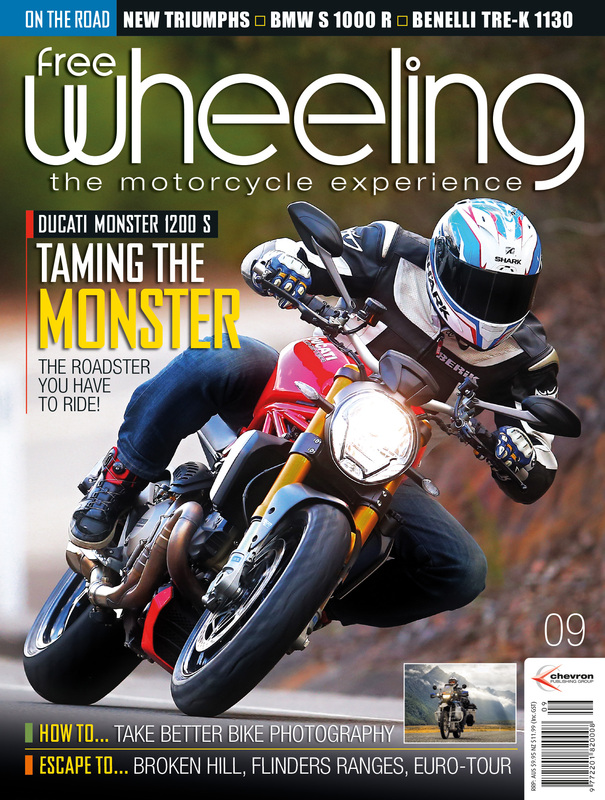 This article appears in Issue 9 (September-October 2014) of Free Wheeling Magazine (Australia). It offers some thoughts on planning a big trip, from a novice’s perspective, including: riding skills, mechanical skills, choice of bike; and the essentials such as insurance an visas. To a rider with no experience of overland travel, the prospect of planning a long trip across foreign lands may appear a daunting one. Unfortunately for some it looks like a step too far, and they don’t go. Reading some of the ‘adventure biking’ literature out there, it would be easy to think you need a year or so to plan a big trip, or even undertake survival and hostage training from ex-special forces soldiers. Take it from me – you don’t. I rode my Tenere out of Buenos Aires airport four months after deciding to do the trip. And what’s more, I had only got my motorbike licence seven months before. As someone new to overlanding I found certain books, notably Chris Scott’s ‘Adventure Motorcycling Handbook’ a great help when planning my trip. I’d recommend it to anyone. Therefore, I won’t attempt to get into the details here; I will leave that to those who have accrued years of moto-travelling experience. Instead, I want to offer a slightly alternative perspective on planning – from a novice, for other novices – to supplement the hard-earned wisdom of the experts. It goes without saying – if you have plenty of time before your trip, use it. However, I suggest that you don’t agonise over achieving perfection for two main reasons. Firstly, as any soldier will tell you from hard-won experience, no plan survives contact with the enemy. No matter how good the plan, events will conspire against it. So go with a sufficiently robust plan, but one which is flexible and can be developed on the road. Secondly, for me the soul of a long journey lies in the unexpected. So let the journey surprise you, don’t try to take too much control over it. The best advice I was given by anyone as I planned my trip came from a rider who had recently finished two years travelling around South America: “Get yourself a reliable bike, ship it over here, and then take it from there.” With 40,000km on the road behind me, I can assure you he knew the score. The most important assets – Time and the Right Attitude. The two most valuable things you can take with you on a long ride are time and the right attitude. With sufficient time almost any ‘problem’ can be solved. I broke my transmission and it took six weeks to get the necessary parts from UK. I had the time, so I simply got on a bus and did something else whilst I waited. I then had my passport, vehicle documents, laptop and other important stuff stolen in Santiago bus station – same drill. Of course, some riders can’t take too much time out of ‘normal life’; but I strongly recommend to try to find it. Tight schedules are prone to generate stress and solving a problem quickly invariably costs a lot of money. Coupled with plenty of time, the right attitude will remove almost any so-called problem. Why? Because with an attitude which aligns with the spirit of adventure and which embraces rather that rejects different ways of doing things, broken motorbikes, fussy customs officials, tardy mechanics and corrupt cops simply won’t bother you. In fact, they will become memorable aspects of the adventure. Cultivate the right attitude before you go: read other travellers’ tales, study a little about where you are going, learn a bit of the local language, and practice relaxing when things don’t work out! Now we are getting into hotly-debated waters. Your moto is of course a key part of the trip and everyone’s choice is going to be different. 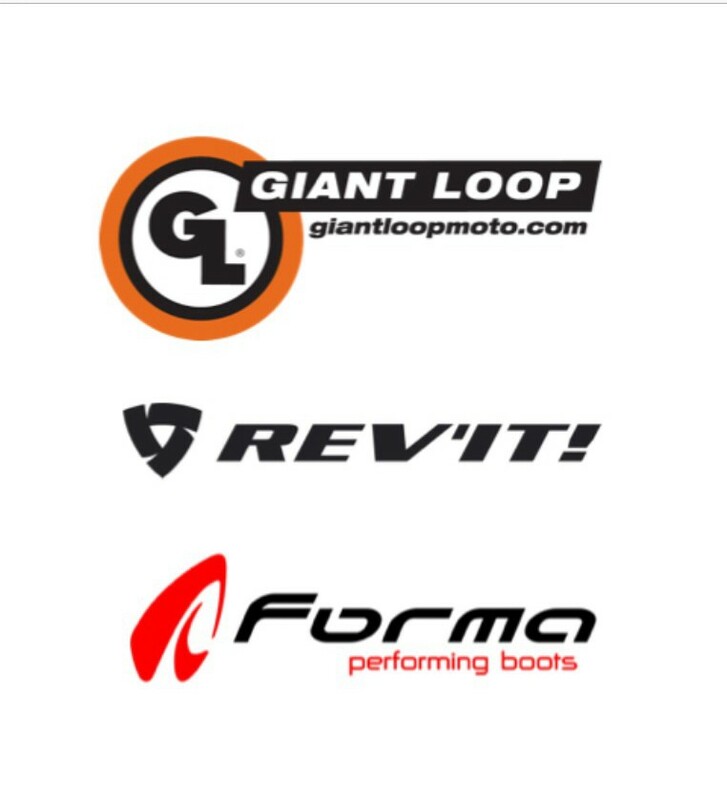 I’m not going to tell you which bike you should ride, but let me offer three thoughts which may help you decide. Firstly, consider this question: are you going on a bike trip, or are you going to travel on a bike? If the bike is the heart and soul of the trip, then your choice of steed will have much more impact on the experience. If, however, the moto is simply your mode of transport, then a locally-bought 250 may be all you need. So when you decide to ride, get clear on what you are aspiring to do. Secondly, remember that the right bike for you is decided on three factors: the bike, the rider’s skill and the terrain on which it will be ridden. Don’t get fixated by the bike alone, by marketing hype or by what your mate is riding. And most importantly, your mindset is more important than the bike. I’ve met gringos on 125s and locals on Chinese 200s, travelling thousands of miles and having a blast. They hadn’t conditioned themselves to thinking they need a GS1200 or a KTM. With a more open mind you have a greater choice of bike; and if you are happy on a locally-bought machine, you will save literally thousands of dollars in shipping costs. The prospect of leaving the tarmac can be an issue for some riders without off-road experience. I would strongly recommend that you embrace the dirt. Firstly, some of the best roads are off the beaten track and well beyond the end of the aspalt. But perhaps more importantly, in a place like South America it will find you even if you try to avoid it. So some basic off-road skills – a weekend’s training is enough – will give you the confidence to venture off the hardtop. Three days was the sum total of my experience when I set off; I learnt by getting on the dirt whenever I could, and being prepared to drop my bike. Whilst many riders focus on completing some off-road training before a big trip, I would argue that some advanced on-road training is more important. Local drivers in countries like Peru are a serious hazard and motorcyclists are at the bottom of the food chain when it comes to right of way. And 90 percent of your ‘off-road’ riding will in fact be on a public road, albeit a dirt or gravel one. Finely-honed observation, cornering and hazard-avoidance skills might keep you out of the firing line when you encounter an overtaking bus or a herd of cows on the far side of a corner. If spanner-wrenching isn’t one of your strengths, outsource the problem. Befriend a mechanic who knows your particular bike well, get his email address an then refer back to him when things go wrong. Certain bike-specific internet forums are also very useful; some of the members the xt660 forum know the Tenere inside out and have come to my rescue on several occasions. And take the service manual for your bike as a PDF on your tablet or phone – ideally in the local language of the countries you will visit. The boring but essential stuff. There are a few things that time and the right attitude alone may not solve, and thus need some attention in the planning phase. Issues such as visas, medical requirements, motorbike documentation, personal insurance and the like are more difficult to resolve once in-country. A friend of mine recently flew to Costa Rica but overlooked the need for a yellow fever certificate; she was back in Peru sooner than planned. Personal insurance for moto-riding can very difficult to get after leaving your home country. But remember – lots of people have previously done what you want to do, so don’t reinvent the wheel. Tap into their firsthand knowledge. Forums such as Horizons Unlimited and ADVRider.com contain a wealth of up-to-date information and the members are usually very happy to answer specific questions. Of course, being a skilled rider, mechanic, linguist and all-round adventure hero might make the journey easier and safer. But before we close this topic, let’s put things in context. I taught my girlfriend to ride a moto six months ago, and she is now riding mountain dirt tracks and fording rivers on a little DR200. An Israeli rider I met in Bolivia quit his job, learnt to ride and got a motorbike licence, flew to Santiago, bought a cheap Chinese 200cc Euromot and rode 10,000km to Colombia. Every time it broke, a local mechanic got him back on the road. We are, after all, talking about adventure here – so why spoil it by being overly-prepared? If you have the time, use it becoming a safe rider, as you need every advantage you can get when mixing it with the local bus and taxi drivers. Otherwise, just fill your panniers with the right attitude and plenty of time, and hit the road. Excellent article as usual Paul, it is clear to me that you are inspired enough by your trip that you wish to share it with others. My mate Mal and I are planning a Trans African trip in Jan 2017, on an XT660Z Tenere and an XT660R. Your writings are inspiring and intelligently written, keep them coming. Are you heading back to South America soon? Thanks Simon – it’s always heartening to hear that others are getting something positive from the blog. I’m heading back to Peru next week – hopefully armed with some WP forks for the Tenere, if I can wok out how to transport them on the plane! !